Wake up, people of God! Our singing will wake up the day. Our praise will echo around the world. Shelter us from the storms. Hide us under your wings, safe and warm. 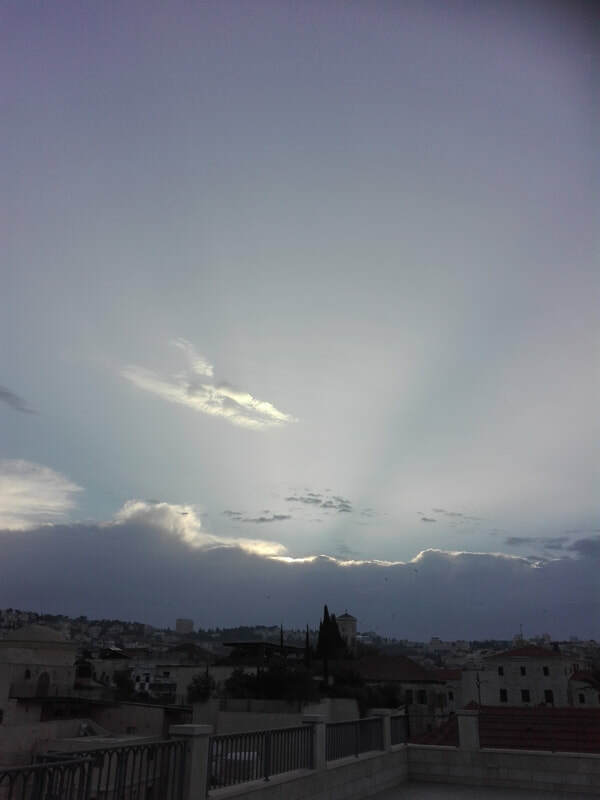 Dawn in Nazareth, from the roof of the Sisters of Nazareth, built over Jesus' childhood home.